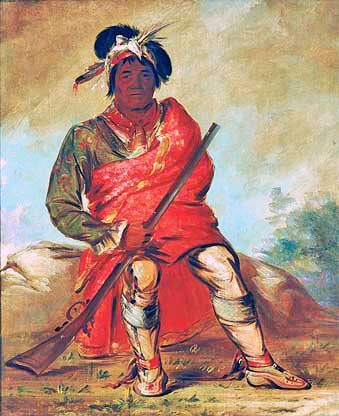 Yamasee War Summary and Definition: The Yamasee War (1715–16) was a conflict fought in South Carolina between the Carolina and Virginia militia of British-American Colonists and their Native Indian allies against the Yamasee Native American Tribe supported by the Ochese, Waxhaw and Santee tribes. The causes of Yamasse War were the encroachment of white settlers and colonists on Indian territories and disputes over the highly lucrative fur trade. Trading posts and plantations were raided and 7% of South Carolina's white population were killed. A collaboration of troops and war supplies from neighbouring colonies resulted in the defeat of the Yamasee Indians. Many defeated Indians escaped to Florida, where they joined runaway black slaves and other Native American Indians to form what became known as the Seminole tribe. This short History Timeline of the Yamasee War provides fast facts and information about the history, years & dates, key events and famous people who fought in the Yamasee War. 1700: The Yamasee were a powerful tribe in the Carolinas and had established numerous large towns and villages in the area, the principal of which was Pocotaligo.